We know you have been wondering whether there is still time to order some bright lights for the Playa. We’ll be shipping all orders received through 11:59 pm, Friday, August 26th. For off-the-shelf items (i.e. 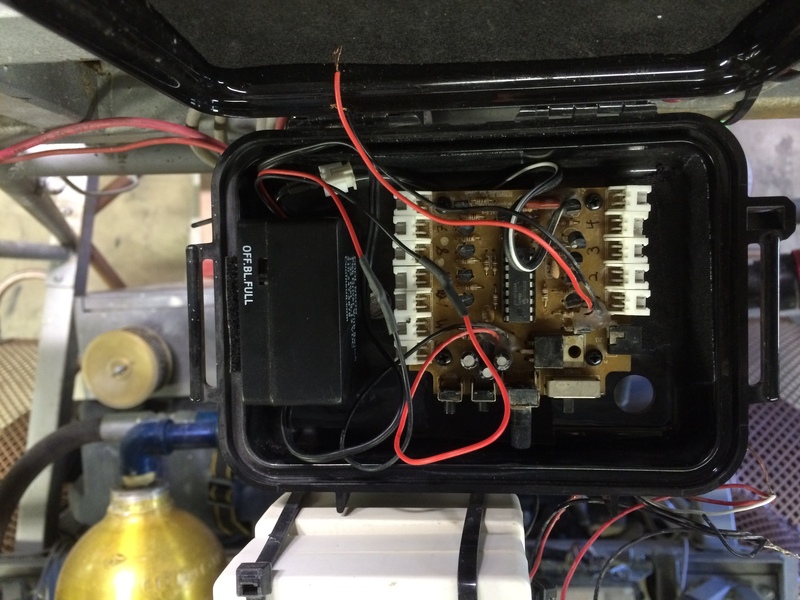 not custom soldering), we ship most orders the same day or the next at the latest. For addresses east of Nevada, USPS Priority Mail (for $9) can get to almost everywhere in the country in two days. Or you can always choose FedEx Overnight, 2-day or 3-day express shipping too. 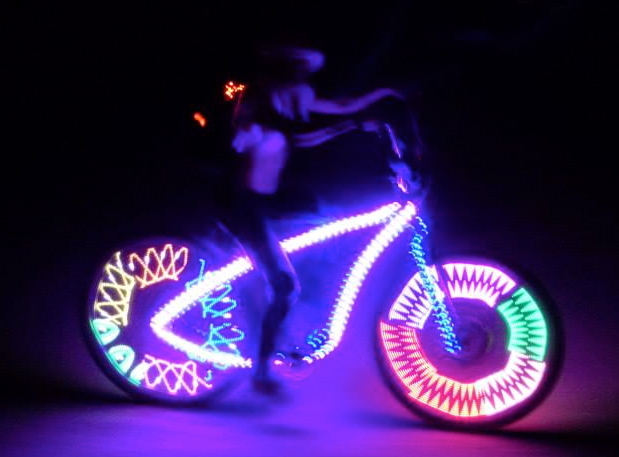 Fun Ways To Stay Illuminated On The Playa! If you’d like some soldering help, project advice, or extra time to shop, Cool Neon will be having it’s last Soldering Party in our Oakland shop on Saturday August 22 at 1433 Mandela Pkwy, Oakland, CA. A great tutorial about how use Cool Neon Total Control Lighting in a costume! 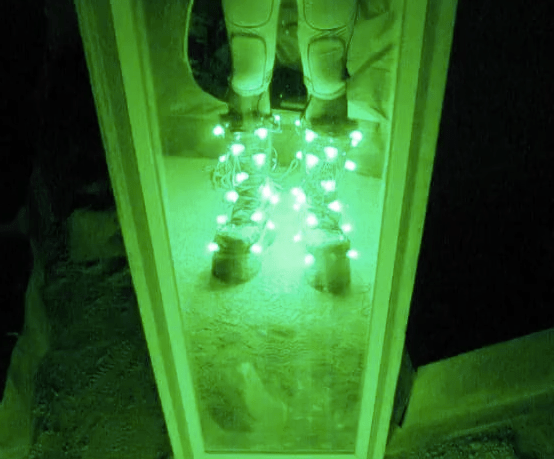 We are so happy Matt sent us this video of his fabulous boots that he created using Cool Neon’s Total Control Lighting. I’m using the four D batteries case with a extra long Y shaped cord you guys made me to go down the back of my legs. I used Velcro + super glue to attach the velcro to the boots and lights so I can take them off if need be. I used the super glue because the heat from the Playa started to melt the sticky backing of the Velcro and would start to come off during the day. So the glue keeps it from coming off. I wrapped the wires in-between the pixels with black electrical tape for two reasons. 1. To help fortify the wires and make them more sturdy and not bend as much. 2. To make them black and less visible. I’ve had them on the Playa 2 or 3 times so far and I have only had to replace them once. So Matt, thanks for sending us this fun video and maybe we will cross paths on the Playa. Cool Neon’s CAT-09 vs. the Playa! Have you ever wondered how our products might do after the Playa? Are they still working? Well guess what, the answer is YES! Cool Neon’s CAT-09 vs the Playa! 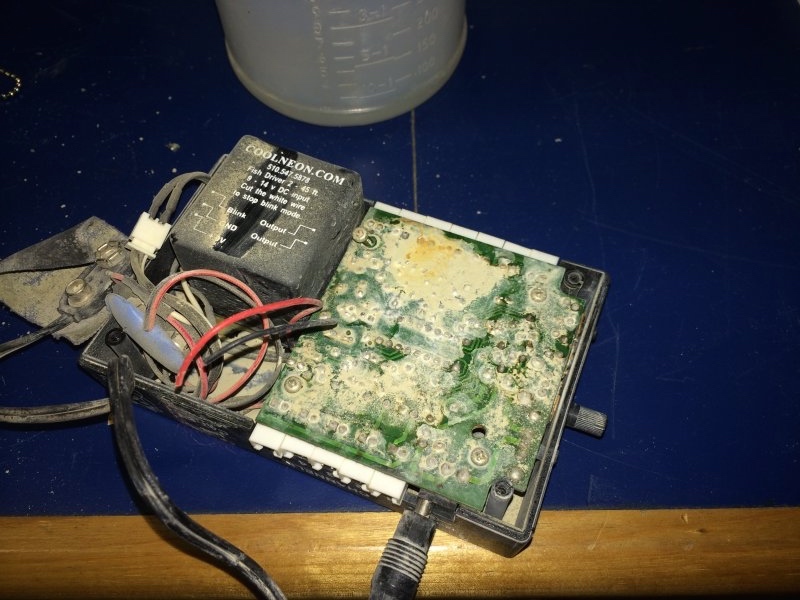 We got a note from our client Chris the other day, and he sent us photos of the CAT-09 driver he had removed from a project, after returning from the Playa… and it was still working! We are so pleased with this outcome! Thanks for letting us know Chris. Keep those stories and photos coming people, we love them.